Seeed’s ReSpeaker 6-Mic Circular Array Kit is an extension board, aka HAT designed for Raspberry Pi. It's a circular microphone array kit, comes with six microphones and designed for AI and voice applications. That means you can build a more powerful and flexible voice product with Raspberry Pi which can integrate Amazon Alexa Voice Service, Google Assistant, and so on. ReSpeaker 6-Mic Circular Array Kit for Raspberry Pi consists of two boards, one is voice accessory HAT, another is six microphones circular array. 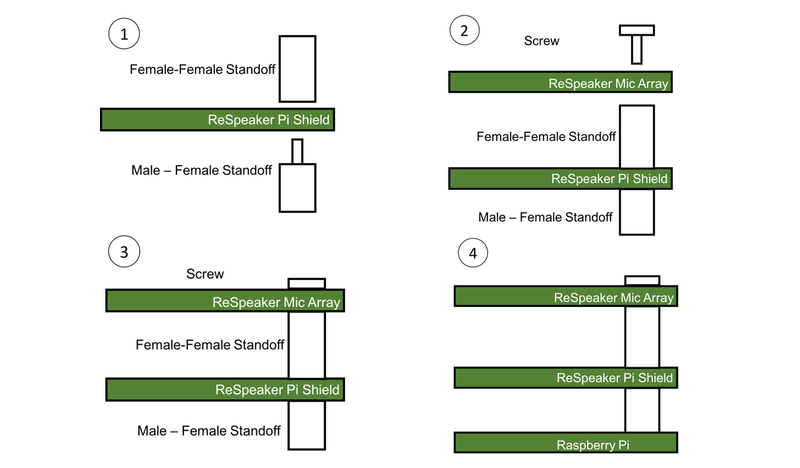 ReSpeaker 6-Mic Circular Array Kit for Raspberry Pi support 8 input & 8 output channels in Raspbian system. The first 6 input channel for microphone recording,rest of 2 input channel are echo channel of playback. The first 2 output channel for playing, rest of 6 output channel are dummy.